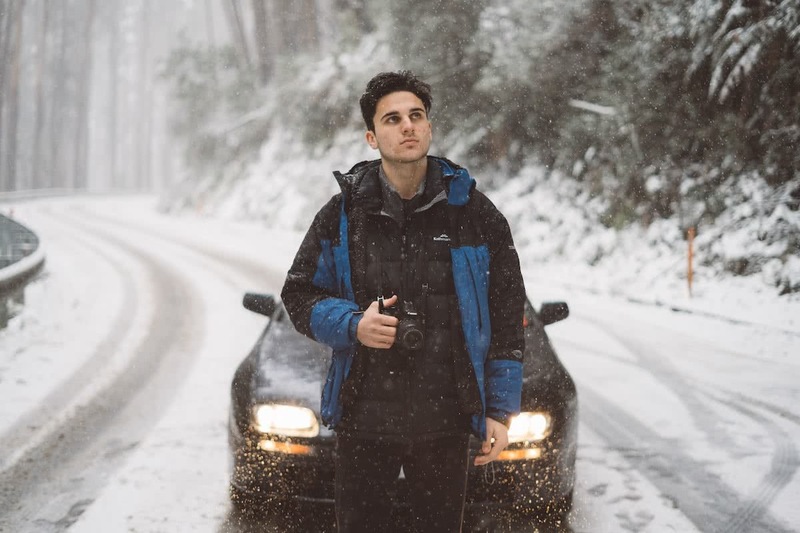 An early school finish combined with the news of a snowstorm rolling in over the Victorian Alps became an unbearable temptation for Ben and Ain as they grabbed their cameras and headed up to Lake Mountain for the afternoon. 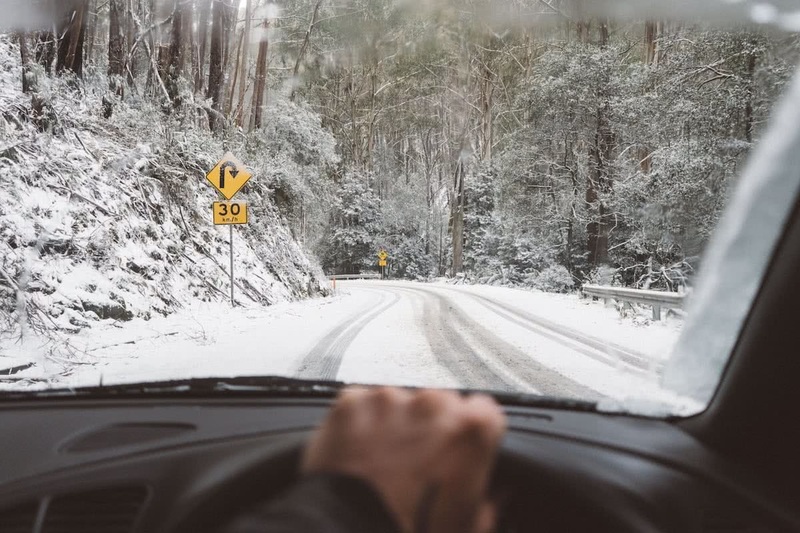 Soon after leaving Marysville, on the final 21 kilometre stretch of road to Lake Mountain, we started to notice snowflakes falling on the windscreen of my car. This was a clear indication that the snow gods were on our side and that we had chosen the right day to discover the hidden beauty of winter. The road was covered in about 10-15 centimetres of snow which made for a fun but challenging drive with regular stops to admire the picturesque alpine scenery. 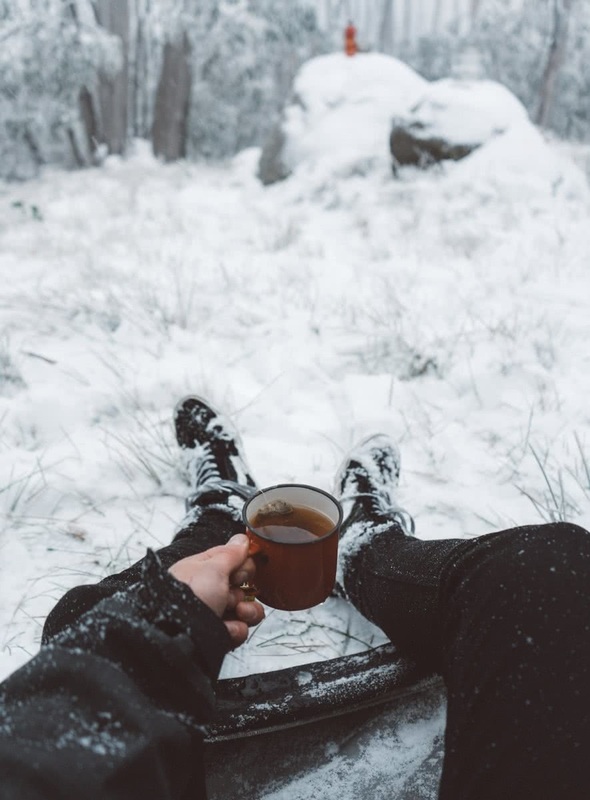 Lake Mountain offers a wide range of activities such as tobogganing, Cross Country Skiing and snowshoeing to get everyone involved in the winter spirit as well as a Bistro, which has warm food and beverages to keep the morale high. 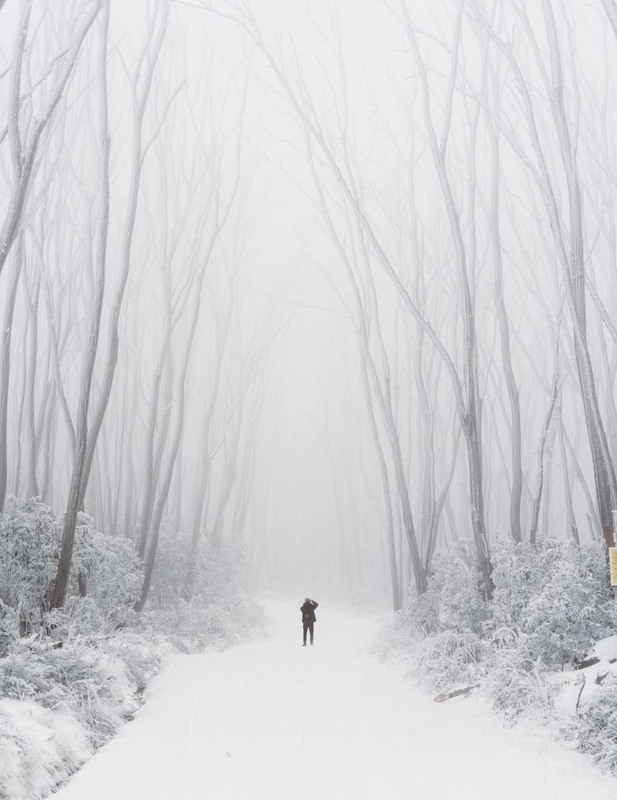 Ben and I chose the old fashioned way to explore the winter wonderland as we donned our ski jackets and braved the cold, wind and fog, heading off on the 37 Kilometres of maintained ski and hiking trails. The stormy weather seemed to scare off most of the day trippers and we were lucky enough to have the whole mountain and its network of trails to ourselves. We chose the BYO method in terms of drinks so we set up the Trangia and regained feeling in our fingertips under the shelter of my tent with a warm cup of tea in hand. 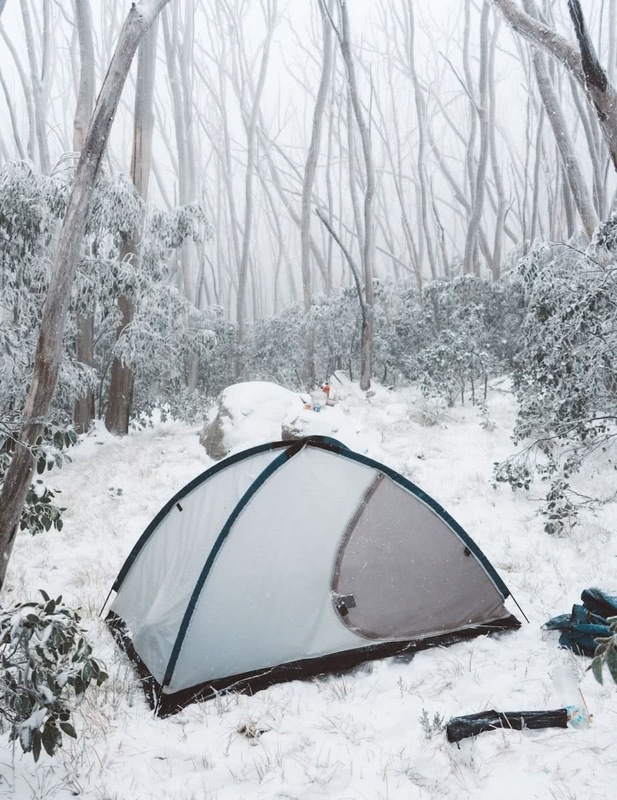 Lake Mountain is an incredible place to discover the true beauty of winter by getting involved in the numerous winter sports that are available. It’s also an easy mid-week or weekend getaway being located only 2 hours from Melbourne. Accommodation is available in Marysville if you’re looking to extend your stay and further explore the Alpine Township or the surrounding Yarra Ranges National park. Appropriate waterproof clothing, especially gloves! Dependant on what activity you choose! We Travelled 5km on the Echo Flat Trail, although the network of Trails spans 37km.